December is usually a month when the release calendar winds down but not this year. I heard snippets of Miguel’s first two albums, and they we’re terribly striking. Then he released Wildheart, and upped his game. Cocco has released a number of live DVDs, but this two-night concert is her first live album. 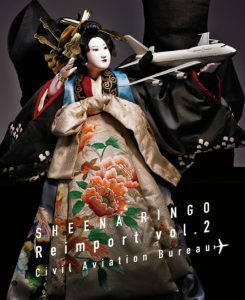 Shiina Ringo offers a second self-cover album which finally includes “Shoujo Robot”. I haven’t followed Kicell in years. I picked up a number of Idlewild albums from Lifelong Thrift Shop and discovered Hope Is Important is the Scottish band’s roughest — and quite frankly most interesting — album. It gets reissued on vinyl along with the masterwork, 100 Broken Windows. Kurt Cobain and Nirvana, deities bless, brought punk kicking and screaming into the mainstream but in doing so locked record moguls into thinking what America needed was an entire decade of thrice-removed punk pop mixed with — cough — heavy metal. The A.V. Club wrote a takedown on 1996, the year alternative music died. Five years on, the situation in rock music hadn’t improved. In fact, Nickelback and Limp Bizkit were in their prime when I typed that paragraph, and it led me to conclude 100 Broken Windows was awesome because nü metal suuuuuuuuucked. The snark against Blur in the second sentence of my review is pretty dated now, although I don’t anticipate I’ll ever find any appeal in Oasis. Before the Internet allowed listeners to try before they buy on a massive scale, music stores would set up listening kiosks for shoppers to sample a few select albums. Of course, spots on these kiosks were available to labels who could pay for them, but I didn’t know that at the time. Given the quality of some of these selections, I could very well intuit they weren’t there solely on their merits. 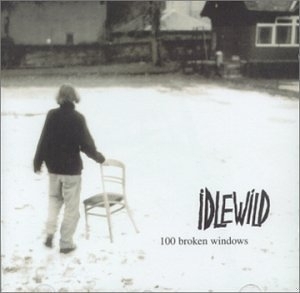 100 Broken Windows by Idlewild was such a purchase. I had been living in Austin for three years at that point, and I hadn’t quite weaned myself off of Tower Records yet. I gave a few tracks on the album a quick slice test — no more than 15 seconds for the first few tracks — to see if it would appeal to me, and luckily enough, it survived scrutiny. So I brought it home. 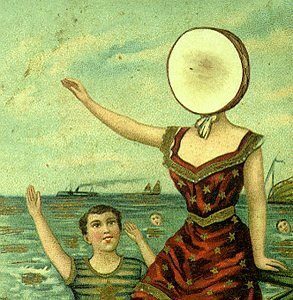 The album grew on me the more I listened to it, but part of me couldn’t quite picture myself being an Idlewild devotee. The band hit all the right points for me — lots of guitars, a singer with British brogue, a set of catchy songs — but I could sense I wouldn’t need more than one or two albums from them. I had semi-consciously decided that if money got tight, 100 Broken Windows would be destined for a used CD bin. In 2002, money did get tight — I got laid off when the dot-com bubble burst, and the few bucks I got for the CD went toward petty cash. At the same time, I knew the album wasn’t so bad that I never wanted to hear it again. So I ripped it before I let it go, then shelved the CD-ROM in the closet. My rediscovery of vinyl spurred me to re-evaluate those decisions to let items in my collection wander off. I pulled out the CD-ROMs housing albums I sold for cash — 100 Broken Windows included — and gave them another play. I may have never been destined to be an Idlewild fan, but I couldn’t deny being a fan of 100 Broken Windows. 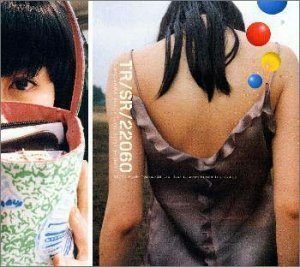 The album lost none of the appeal in the years since I first encountered it. To be honest, I’d find myself craving to hear “A Little Discourage” from time to time. The album even got a reissue in the UK, supplemented with b-sides and extra tracks. I just settled to find a used copy for fewer than $5. 100 Broken Windows wasn’t the only victim of my short-sightedness. Maná’s MTV Unplugged, John & Mary’s The Weedkiller’s Daughter and Sugababes’ One Touch were albums that I liked more than I realized at the time. At the time I sold them, I tried to picture whether ambivalence would set in years down the line. I gambled that my feelings for them would change for the worse and used that supposition to justify culling them from my collection. They turned out to be bets that I lost.